An Auckland property management company has gone into liquidation after the Real Estate Authority launched an investigation into the real estate agent who owned the business. Property Management Out West Ltd and Real Estate Out West Ltd were both placed into voluntary liquidation on 19 February. 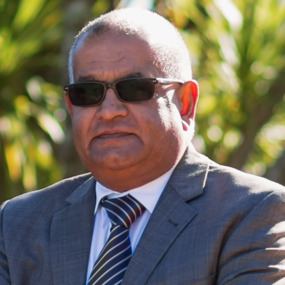 The Real Estate Authority (formerly the Real Estate Agents' Authority) has confirmed it has launched an investigation into the activities of west Auckland real estate agent David Dayanand Sharma, who was the sole shareholder and director of both companies. It is understood that landlords who had their properties managed by Property Management Out West are owed thousands of dollars in rental income. One landlord who had several properties managed by Property Management Out West but who asked not to be named, said the rental payments he was supposed to receive from the company each month were often late and he usually had to contact the company and chase his money. As well as collecting rent from tenants and passing it on to landlords, the company was also supposed to manage any maintenance issues that required attention. But the landlord said this aspect of its work had also become unsatisfactory. He believes he is owed several thousand dollars in rental income by the company. A spokesperson for the Real Estate Authority, which is responsible for regulating and licensing the real estate industry, said it did not have jurisdiction over property managers, but was investigating Sharma over possible breaches of his obligations under the Real Estate Agents' Act and the Code of Conduct. Until recently Sharma was working under the Ray White banner but appears to have parted ways with the agency. Last week Ray White Chief Executive Carey Smith wrote to landlords who had their properties managed by Sharma's company and said concerns had been raised which were passed on to the Real Estate Authority. The letter said Sharma was a "previous member of Ray White." It advised the landlords to instruct their tenants to start paying their rent directly into the landlords' own bank accounts. David Sharma's profile page on the Ray White website described him as "One of Ray White's leading performers. "David Sharma is a respected name in real estate and an agent of integrity and experience," it said. "David's clients rely on him to deliver outstanding results, exceptional service and a rewarding real estate experience." However that profile page has now been removed from Ray White's website. Real Estate Authority records show that in 2012 and again in 2014 Sharma had been found guilty on unsatisfactory conduct. He was censured and order to pay a fine of $750 on both occasions. The landlord spoken to by interest.co.nz said the fact that Sharma operated under the Ray White banner was a significant factor in choosing his company to manage their properties. The first report from liquidator Derek Ah Sam of Rodgers Reidy is due on February 26. Interest.co.nz was unable to contact Sharma for comment. unbelievable a dodgy RE, they are normally pillars of our society whom proform a service out of duty. I'm as shocked as you are, what is the world coming to when you can't even trust a Real Estate Agent! Who are the used car salesmen going to look up to now? Bet they've been ripping off tenants, too. It's good that RE trade is going through a rough phase with sales not doing so well, such dodgy agents are coming out in open. ...if I were one of his clients I'd be trolling back through all the repairs and maintenance invoiced and the 'missed' rents to boot! There will be more to it. I think the market is saturated with Property Managers. More are going to go to the wall as Landlords take over the task in an effort to cut costs. Tapped out tenants, ongoing healthy homes compliance costs, increased insurance premiums and the absence of capital gains will see to it. Septic individuals such as Sharma only serve to hasten the inevitable shakeout in this sector. The man in question was a Property Manager rather than a real estate agent that was selling property. If a property owner was having to chase up rental payments from their property Manager, then this is a sign of either incompetence or fraud! Why would you put up,with this when you are paying something to deliver a professional service! We manage all of our properties ourselves as we can do it far more successfully than an outside management company. The management company’s get paid but they have no financial interest in the properties and therefore don’t have the same best interests as the true owners have. Have never been that impressed by management company’s anyway as they are really only part time as they tend to employ staff that only want to work between 9 and 5. They are often hard to contact especially at holiday times and often do not return our calls when we are chasing references from their tenants. Houseworks, of course it is possible to do a worse job if you allow that to happen. If you are not cut out to operate your rentals in a professional business manner then yes you are better off using a rental management company! I know there are a helluva lot of people that shouldn’t be managing property and that includes people who work for management companies. It is amazing how many tenants that when they leave our rentals we never hear from the new landlords asking for references for them. We always check previous landlords of the prospective tenants as to what sort of tenant they have been, irrespective of how great they look on paper. There are many landlords that don’t do the proper checks and it can often come back to haunt them. You can never take shortcuts when it comes to property management if you want it to run smoothly! The coalition efforts to make it tough on landlords will come back to haunt them as the less professional landlords will get out of the business and there will be less rentals available. does not indicate what type of business was conducted by the company. It is possible that it was a real estate company - whether it was actually trading is another matter. It amazes me how Kiwis in general can be so blase when it comes to protecting their business interests. If I was employing someone to professionally manage my affairs, especially when I was doing so to free up my time and alleviate avoidable stress, at the first whiff of anything untoward I would be on the case and in their face. Surely! It’s this whole mindset of make a dollar from someone else’s hard work. Borrow someone else’s money, take rent from someone else’s pocket and rely on someone else to make it all happen. As a retired independent property manager I had to put up with the REA making repeated snide remarks about independents. They did this via the media and other ways. They used to say that owners were at risk of being ripped off like one of their own has done. Obviously regardless of being REA or independent there will always be a small minority who will act poorly. Saying the opposition are all crooks is the first sign for thinking people to start asking questions. Lets hope the REA stops throwing mud. A little bit of me thinks this whole property carry on has a bit of an 80’s share market mania to it. Shonky companies, shonky practises and rather questionable behaviour ending up before the courts. I think the rock star may have well over-indulged. A very interesting comment in here "A spokesperson for the Real Estate Authority, which is responsible for regulating and licensing the real estate industry, said it did not have jurisdiction over property managers . . "
So why would anyone do business with a Property Management arm of a Real Estate company ? No protection what so ever !! Lets hope those owners that have been ripped off do better 'due diligence' when finding a repalcement, and go to someone that has memebership of a proper regulatory organisation that has good processes incuding one for complaints that has teeth ! I am one of the property owners affected by the actions of Ray White Henderson. Villa Man - There are no "proper regulatory organisations". The REA is it. A property manager is not required to be a LREA and so is not subject to the disciplinary processes of the REA. For that to happen would require changes in legislation by govt. I did carry out "due diligence" before entrusting Ray White to manage my property. I even knew David Sharma, I am a tradesperson and he was a client of mine several years ago. Back then, he paid his bills, he seemed honest and reliable with the dealings I had with him. I researched all the reputable property management companies and Ray White stood out as the leading trusted professionals in the area where my property is located. After researching, and adding to that the fact that I know the guy, for me they were the obvious choice. There is an important fact left out of this article. This is that Ray white Henderson property management have failed to lodge the bond of several tenants, mine included. When you lodge a bond with tenancy services, the tenant and the landlord are sent a bond lodgement acknowledgement from tenancy services. Because the property manager is acting as the landlord, it is him or her that receives it, not the property owner. Most tenants are unaware that they are supposed to receive this acknowledgement so they and myself included were not aware that he had stolen this money until very recently. So Mr David Dayanand Sharma trading as Ray White Henderson, has not only ripped off a large number of landlords but tenants also. This makes his actions even more morally repugnant. I commissioned Ray White to manage my property in order to lower my risk of losses and ensure compliance with tenancy laws, not to be the cause of my losses and non compliance. Ray White make me sick. Ray White head office were still trying to distance themselves from these issues just last week, until people finally approached the media about this shambles. They are liars. I will never deal with Ray White again and I would advise others to steer well clear of them also. Badlad - I did get right in his face at the first whiff of trouble. Its taken until now to track the little prick down and sort out what the hell is going on. At Auckland rent prices it doesn't take long for the loss incurred to rise to a significant sum of money and there were very crafty and deceptive excuses and explanations being outputted by various Ray White agents. Also, some people aren't even in the country at all times and it becomes very hard to sort things out when you aren't around. Please don't place blame on the property owners for this. Place blame on the criminal David Sharma and the shoddy organization of which he was a member......Ray White. Gutted - fair enough. Sounds like you have enough on your plate currently. I do however stand by my general view, which obviously is not terribly helpful to you or even applicable to you about Kiwis, as a rule, being somewhat muted when it comes to rightfully sticking up for their own interests. It took me a long time personally to externalise the angst inside, in such dealings, suppressed by a cultural norm of near servility and civility. Maybe its just me but its kind of like getting a bad coffee - I’d never think to tell the barista to take it back and do another yet non-NZ friends of mine have no problem expressing their disapprobation in no uncertain terms followed by an immediate replacement coffee, usually demonstrably better as it is so painstakingly prepared so as not to, perish the thought, disappoint a second time. I'm a Kiwi. I don't drink coffee, and yes, you are correct, your general view is not helpful or applicable. Wish you well in any event. The Man 2 - It's great that you are so apt at managing your own rentals but please don't criticize those that employ property managers. Peoples lives are not all the same. I work my clacker-off to make enough money to invest in property, and that combined with my extensive portfolio and parental commitments does not allow me enough time to self manage effectively. Believe me, I would if I could and if you can't trust RAY WHITE to act professionally then who can you trust. This isn't "Bobs Backyard Slumlords Ltd", this is RAY WHITE we are talking about. A bloody market leader. Well, for me, NEVER AGAIN. The Man 2 - You are wrong. the man in question is a licensed real estate agent. perhaps you should get your facts straight.